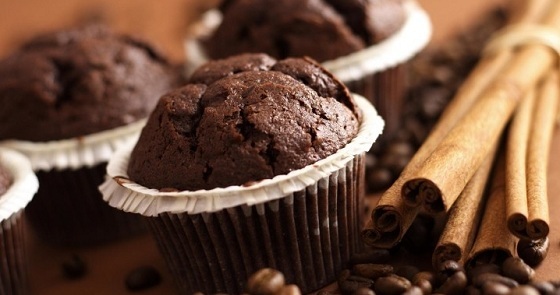 dark chocolate - the weight of tiles 200 g.
Consider the recipe tasty and easy to prepare chocolate muffins steps. First, break the chocolate and butter together with chopped drowned in a water bath. The composition of the complementary sugar, mixed and kept at the plate yet 3 moments. Then pour the mass of the egg and again stirred, add yogurt and again thoroughly kneaded entire composition. 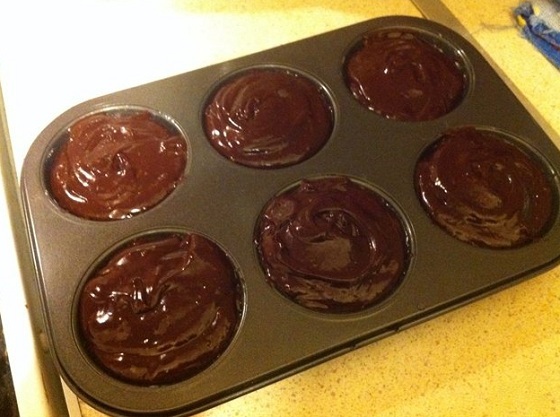 Flour combined with the salt, baking powder, cocoa powder and baking soda. The dry weight of a good stir. 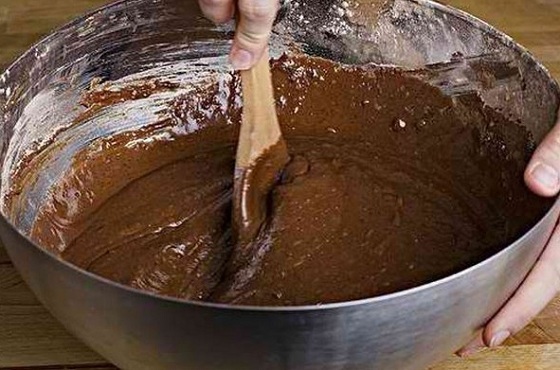 Chocolate oily composition was poured into the flour and mixing produce movement from top to bottom. As soon as the meal will turn into dough, stop action. Now engaged in an oven. The unit is heated to 200 ° C. On the baking paper muffin placed devices. The mass of them spread with a spoon. For trim the tops of tins filled with slightly more than half. For a lush mix of products placed in abundance. In a hot oven tray and put intersect 20 minutes. Ready baking stick check or match. Its dryness says, that you can taste the muffins. Eat products better the next day. After standing overnight, inside they will be more gentle and mild. The above recipe is designed to 12 portions of. Try for yourself and treat loved ones. Enjoy your tea!